Do you feel as if 24 hours a day isn’t enough? I hear ya! With so many goals and tasks I set for myself I sometimes feel pretty disappointed if I can’t complete them all. 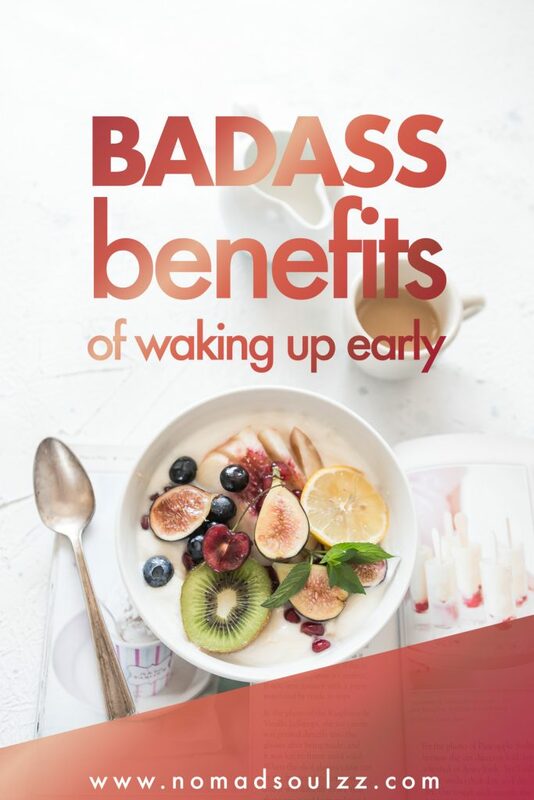 Upping my productivity game whilst keeping my self-care regime in mind I decided it was time to consistently start waking up earlier and boy-oh-boy the benefits of waking up early are a game changer. 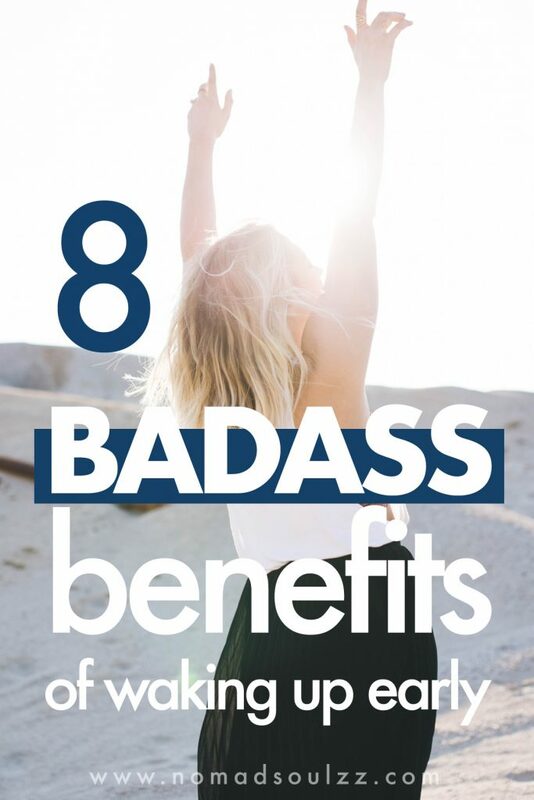 And it’s about time we share them badass benefits on the blog. 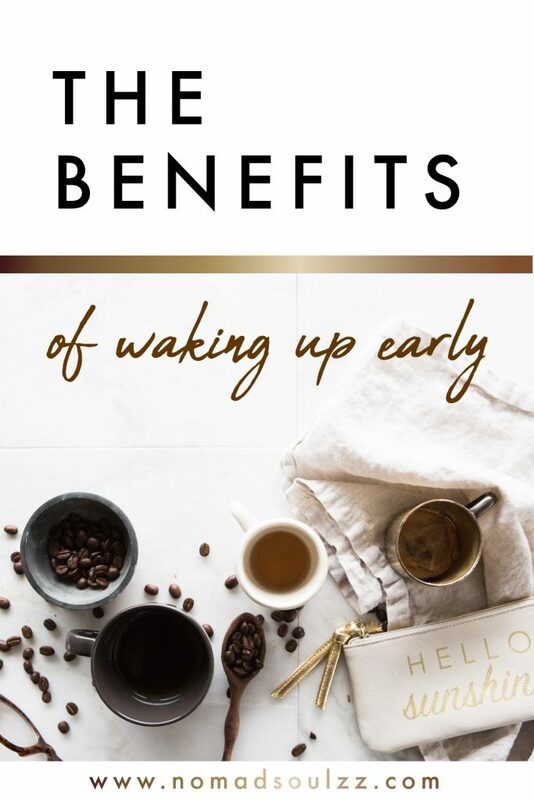 However, before we dive deep into the marvelous benefits of waking up early I believe it’s important to address that you should consider if waking up early suits your needs. In other words, have a clear motivation on why you want to wake up earlier and what the direct advantage would be for your life. Is it a loving gesture towards yourself or are you demanding something exterior to yourself? READ MORE: How to rise & shine before the sun does. The best way to wake up! 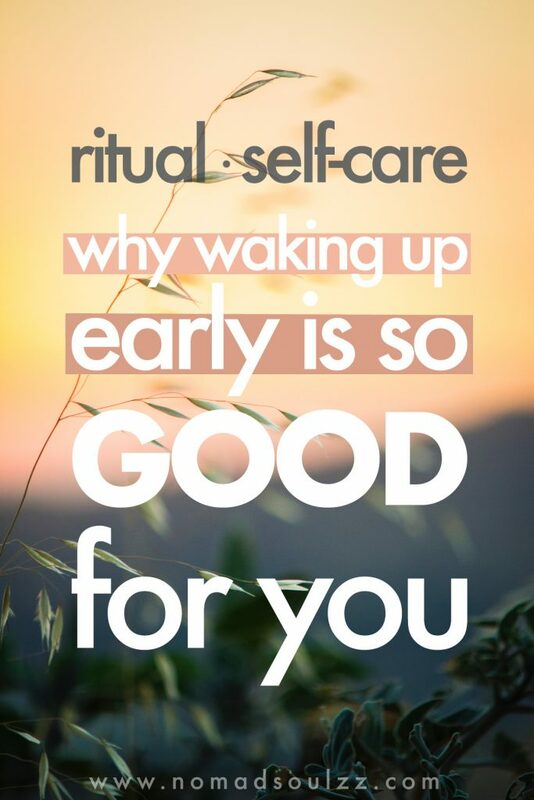 Personally, waking up early means I create the possibility to stress-free undertake a self-care morning routine. When waking up later I feel stuck in between what the jobs needs, what I personally need and what the family needs all under the pressure of a ticking clock. No fun at all. From Buddist monks to the world’s most successful CEO’s. Waking up early seems to be amongst their best habits. All of them dedicating that extra time to their own needs. From meditation, reflection, and practicing gratitude to working out, studying or even cleaning the house! This is one of the most welcomed consequences that seems to occur with deliberately waking up early. And believe it or not, consistency is the hidden key to success. Besides that, I experience this added consistency as a level up in my quality of life. It creates accountability (towards your needs, but also your dogs etc.). And consistency allows you to grow and progress in whatever you choose to do with that extra time you have on hand. For example, if you choose to work-out in those early hours, within a couple of weeks you’ll find that by coming back consistently you’ll have built up muscle and a higher endurance, you’re much more at ease with certain exercises etc. Similarly, whatever you choose to do you’ll see that by consistently coming back you’ll progress significantly. As much as I love freedom and no-planned days, the routine of waking up early makes my days so I can enjoy the unexpected instead of having to juggle the chaos otherwise. 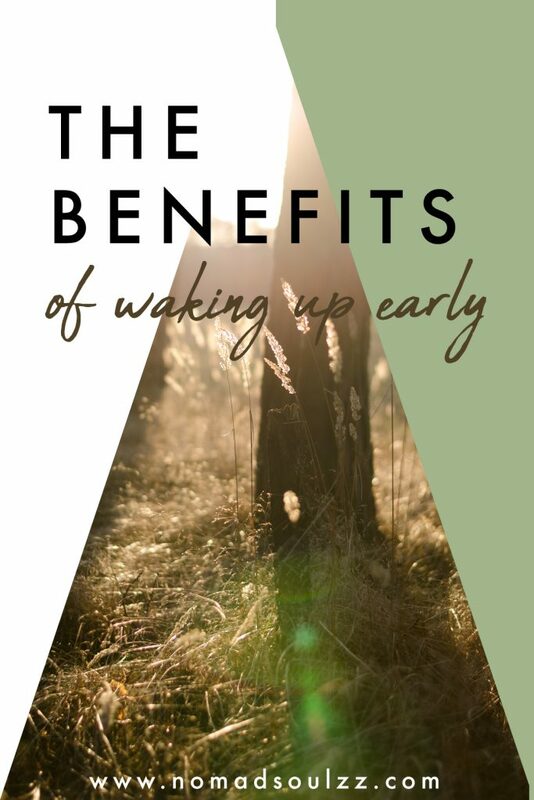 Another great one amongst the benefits of waking up early: having the pleasure of a productivity boost! Remember I mentioned I wish a day had more than 24 hours in a day? Well, by waking up early it seems my wish is being granted… By being able to utilize the hours that I have more productively. Waking up early is giving yourself the advantage of being ahead of what is coming. You have the time and space to allow yourself to mentally prepare for the day. What do you want to get done today? What needs to get done? etc. You get to choose how the day goes! Nothing external has power over you. Utilize the early mornings in such a way where you can create your own moment where you decide with which intention you step into the day ahead of you. Besides all the above, if you’re not set on exactly what you need or want to do in the mornings you can use that precious time to get nagging tasks out of the way. Clearing up space mentally for a more productive day. Those tasks won’t distract you during the day as you’ve already tackled it when everyone else was sleeping. For some reason, the fresh morning energy is super contagious (love it!). After a night’s rest, you’re able to exploit that clarity of the rising sun in your own mind. Making important decisions goes with less effort and more positive rationality. I believe a great reason for that is during the day we easily get (subconsciously) overwhelmed by external stimuli. From people, from emails, social media, the weather, the news etc. After a period of disconnecting (sleep), we’re more likely to be in tune with our true and intuitive selves. A rested mind is a useful mind. Use it to your benefit and voila, life will thrive before your eyes. Another reason why its easier to make decisions in the morning is scientifically confirmed. Researchers found that the prefrontal cortex, the frontal lobe of the brain, is the most active during and immediately after waking up. And this part of the brain is related to the ability to differentiate conflicting thoughts and is capable of arranging thoughts and actions in accordance with internal goals. Related & Popular: How to Always Make A Decision Thoughtfully. Own Your Power Of Choice. Another one of those yummy benefits of waking up early! Similar to being able to make clear decisions, your creative thinking is more active. And you can use this to your advantage. By doing some activities that require that extra creative alertness and input. Such as creative problem solving, brainstorming a new concept, or writing something. Ok, of course, there is more than just waking up early necessary to beat procrastination for good. 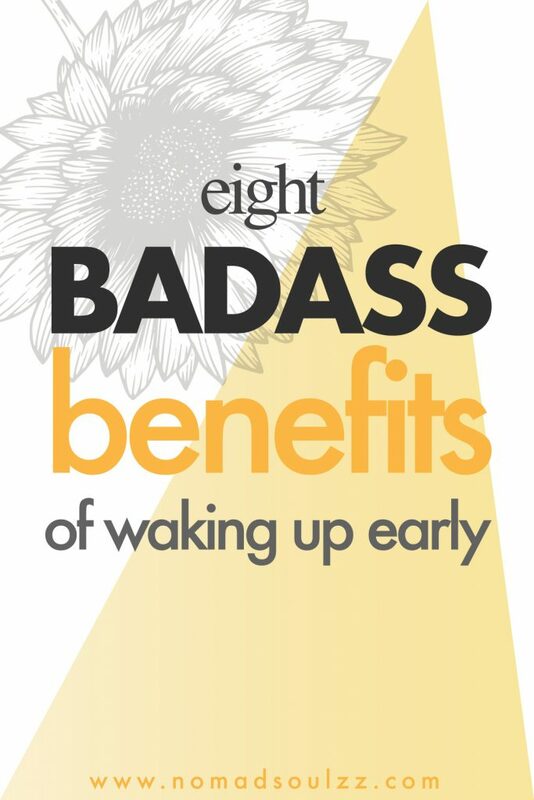 But consistently waking up early is a gigantic step in the right direction. Starting your day on an assertive foot is a great way to set the tone for the rest of the day. As you’ll be able to more clearly set out your plans for the day due to waking up early, there is less chance of you avoiding them as they can (and will) be your guideline to a more peaceful and productive day. Win-win! I’m sure by this point you’ll agree with me that waking up early is a favorable habit. Experiencing first hand the advantages of this good habit will magically ignite more good habits like falling domino blocks. And maybe even more intriguing, just like you have the vicious circle downwards, it can also go upwards. You’ll find more intrinsic motivation for picking up other good habits and letting go of daunting ones. Think about it though, if you’ve been able to decide that it matters to you to wake up early. Why wouldn’t you be able to stretch that confidence to more fields in life? 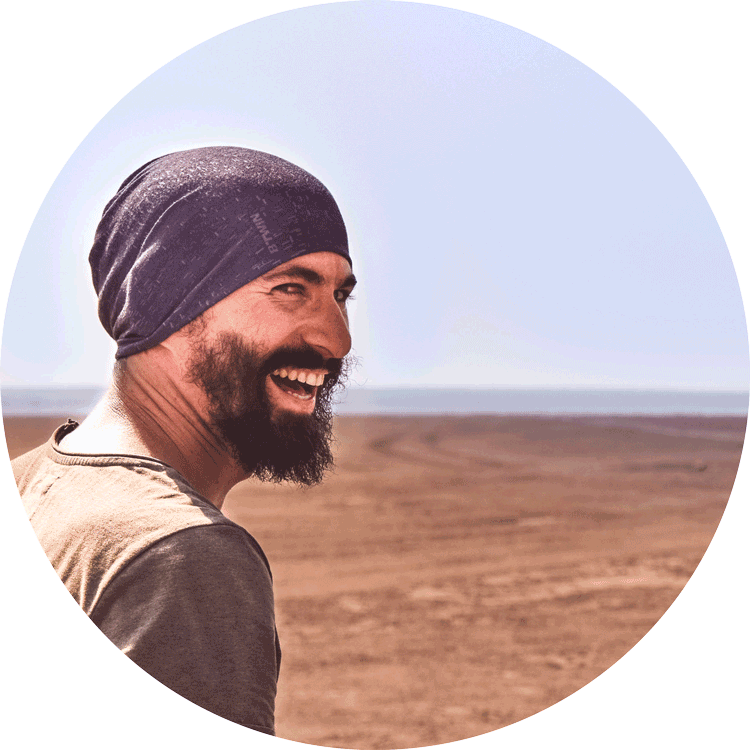 More happy making stuff: A List of 4 Blissful & Energizing Happiness’ Challenges. Yes, you read that correctly. By now it’s clear that those extra hours in the morning boost our productivity, resulting in to-do’s being completed more efficiently. The big reward: more time for relaxation and the soothing sense of natural and satisfied tiredness. Dedicating that extra time towards self-care and further self-development will be a great gift for yourself ánd the people around you. You’ll be able to respond calmer to certain situations, instead of having chaos overwhelm, you’ll be capable of being more in control and overseeing life. 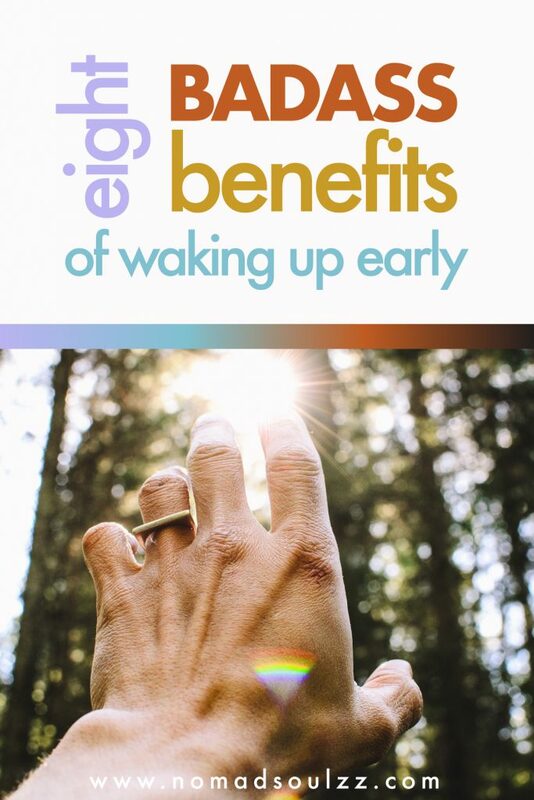 A logical consequence, yet totally worthy of mentioning amongst these benefits of waking up early: better sleep. 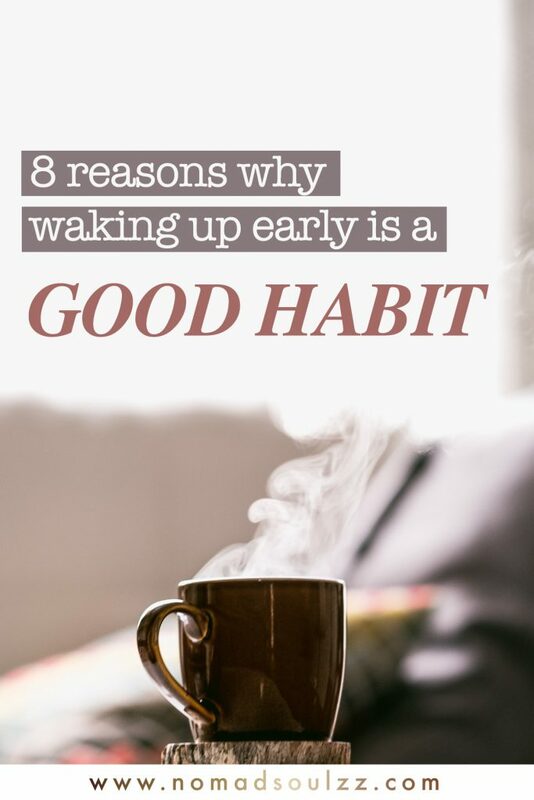 In order to be able to wake up early in the first place, most likely you’ll want and need to go to bed on time at a certain time. 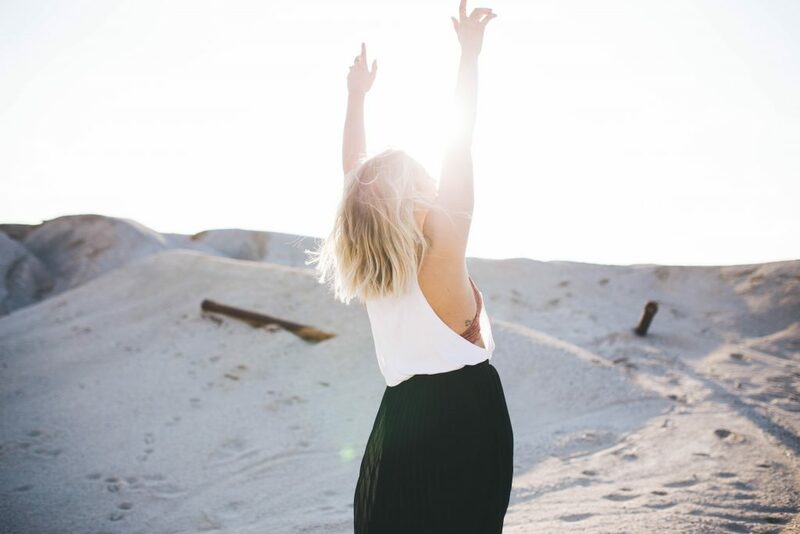 If you want your body and mind to be happy (you want that!) give it routine! Providing your body a rhythm it can account upon will have great benefits for you. 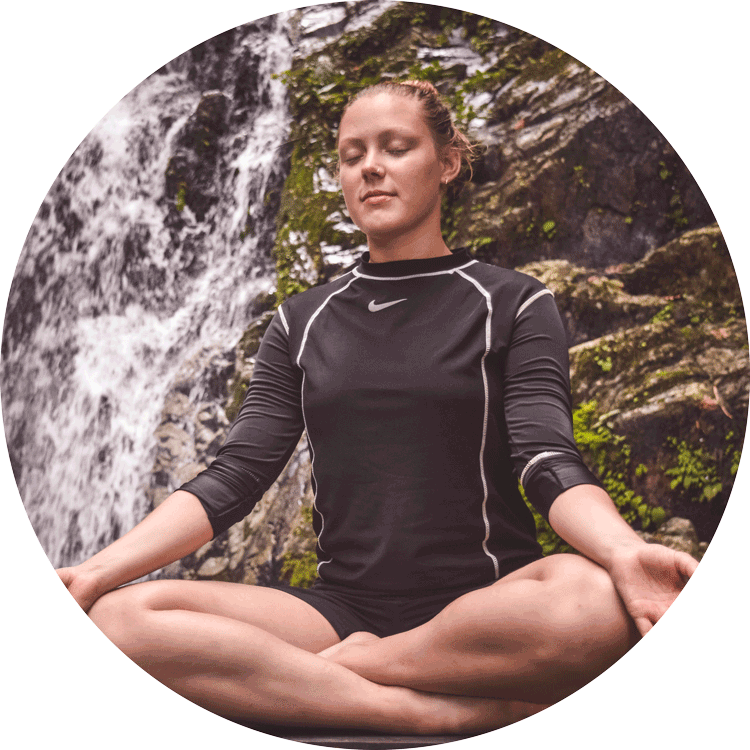 You’ll be able to fall into sleep better, gifting the body a longer and more productive restorative time. Also, the sleep quality itself will level up. 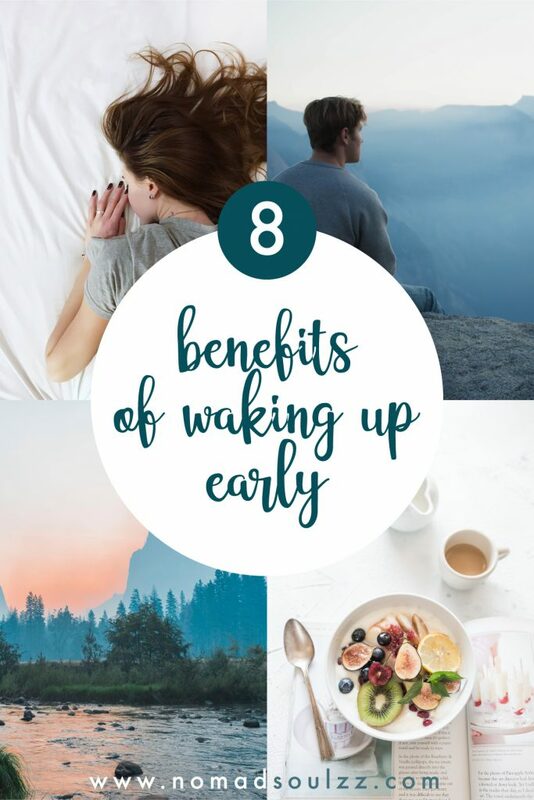 So yes, by waking up earlier you’ll sleep better too! Yay! Do you already wake-up early or do you aspire to? Let us know in the comments below! And we thank you (eternally!) 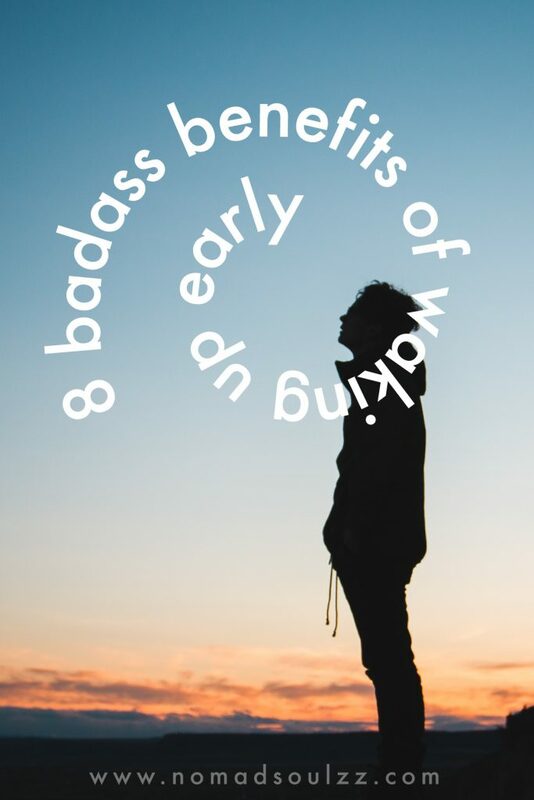 in advance for sharing these eight badass benefits of waking up early with your friends on social media! You’re awesome!